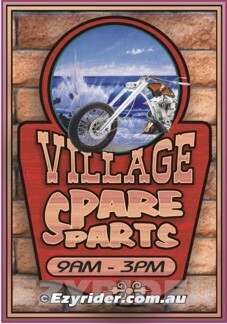 There are unlimited possibilities for a business sign design. 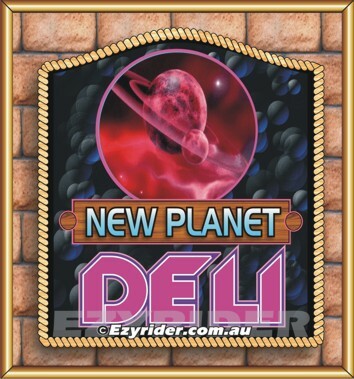 The smaller type designs on this page are designed to show my design style and size v price for these particular designs. I feel each sign needs to reflect in some way the business enterprise, be readable (important) and have feel and be versatile for advertising purposes. To combine all these aspects can be difficult, yet, still possible with some thought. The designs below are ideas for the possibilities. You may select the design and change the information. Each of these designs has an 'earthy' background feel. 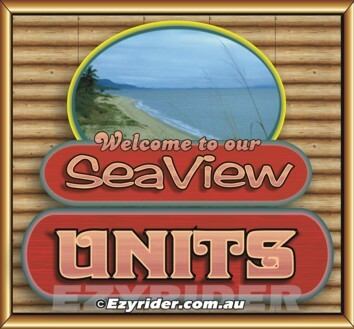 And each main sign is designed to be representative of a particular business name. The reason I use an 'earthy' background is that it does not interfere with the signs readability and adds a bit more interest to the visual effect. If you prefer not to have a background - that's ok. An odd shape cut out costs a bit more. For a wider exploration of ideas look through the other pages on this site where those ideas may also reflect what you are looking for, or, an idea for a modification to your ideas. All products are suitable for exterior use. These 2 designs above show the same frames and different background features. 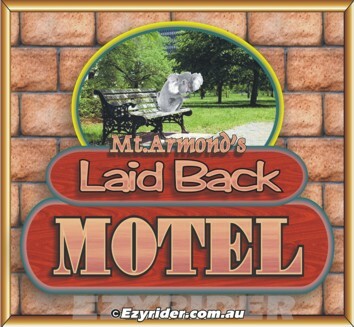 The 'Motel' & 'Units' have a different letter style, plus the added wording above the 'outlets' name. Importantly, readability was also a consideration for these signs. Also custom made to any size for your business. These 2 designs above show different frames and background features. 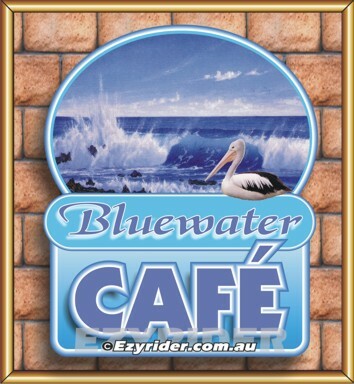 The main signs have been designed with a soft water 'feel' and the pictures are representative of the cafes 'feel' name. 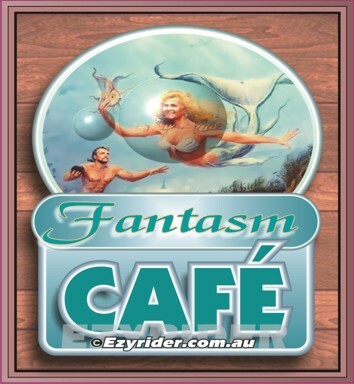 Fantasm Cafe needs a 'fantasy' picture to add interest to the premises name. Importantly, readability was also a consideration for these signs. These 2 designs above have been designed with a solid outback style in mind: timber and brick. With the added bonus of a gold frame on the brick background design. 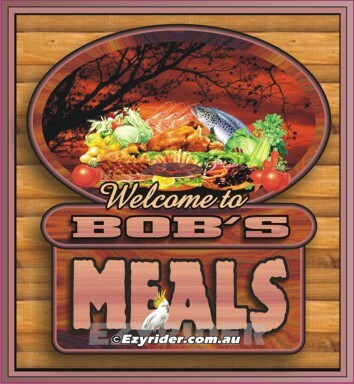 The main background of the sign is a timber grain and the letters reflect the same. Choose either with or without 'Welcome to' or substitute with your wording. 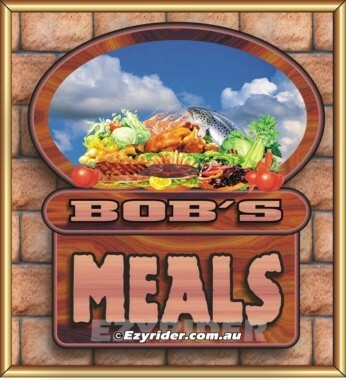 The pictures represent a good 'feast' variety will be served up. 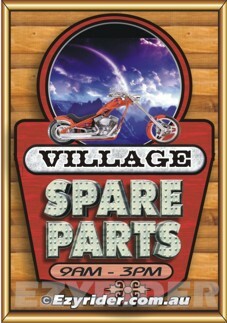 Have a menu board that also compliments your sign. Made also to suit your business from your idea. 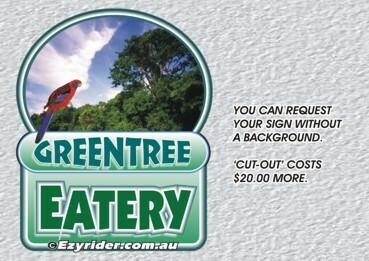 Still maintaining an 'earthy' element for the background these two signs above show different designs. 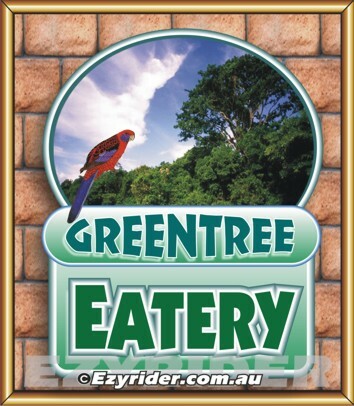 The Greentree Eatery is representative of 'green-trees' with the added bonus of the rosella sitting in the branches. 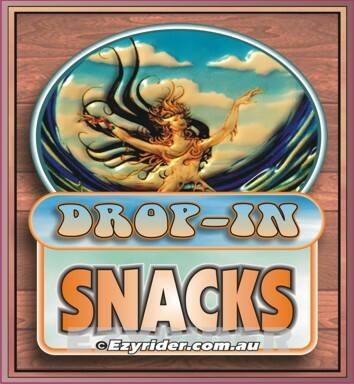 With Drop-In Snacks I have used soft blues with an orange lettering to give highlight. The picture here is interesting in that it looks like she is 'dropping in'. 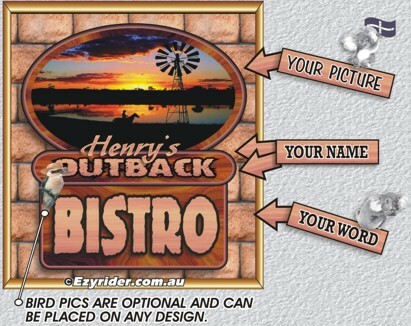 Pictures are important to convey a 'feel' about your business. Something interesting adds to the attraction. And both these signs can be read easily by passers by. Also custom made to any size or modified to your requirements. The backgrounds of the designs above are ideally suited for these premises. 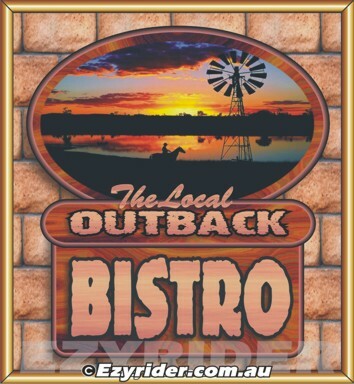 Outback and rugged with the lettering style reflecting the same and still readable. 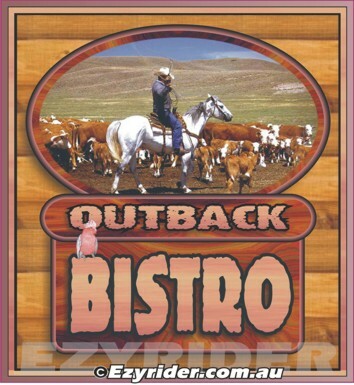 I particularly like the pictures in each: both representative of the 'Outback'. The galah on the right gives the finish touch. Also custom made to suit your business. 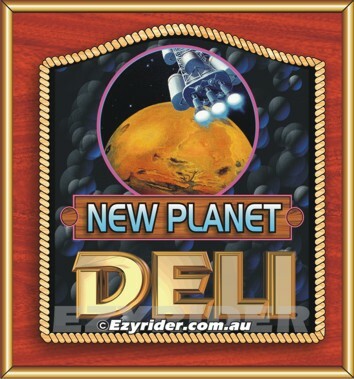 These three 'New Planet' signs shows different ways that you can promote your business with a 'name'. 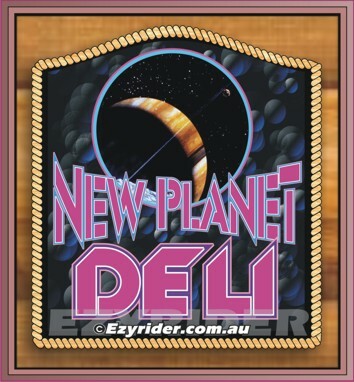 Each one gives off a connection with a 'new planet' and I particularly like the rosewood background, gold border with the "Deli" lettering in a 3D style gold. Although the rose/purple has a depth of 'spacy' image. The rope surrounds adds another depth. Custom made service also available. 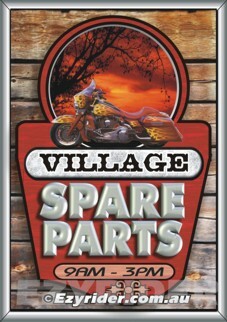 The following 'Village Spare Parts' designs give an indication of how one sign can change its look and feel by using different lettering, different backgrounds and different frames. Choose the one you would like and substitute the wording and picture with your details.